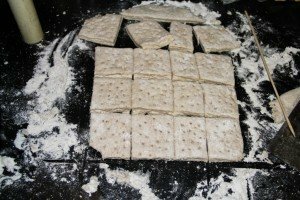 As I walk you through making Hardtack, I wanted to show some pictures of the process but I want to tell you a little bit more about this staple. Hardtack has been made and used for centuries by many types of people including Sailors, Pioneers and Travelers. 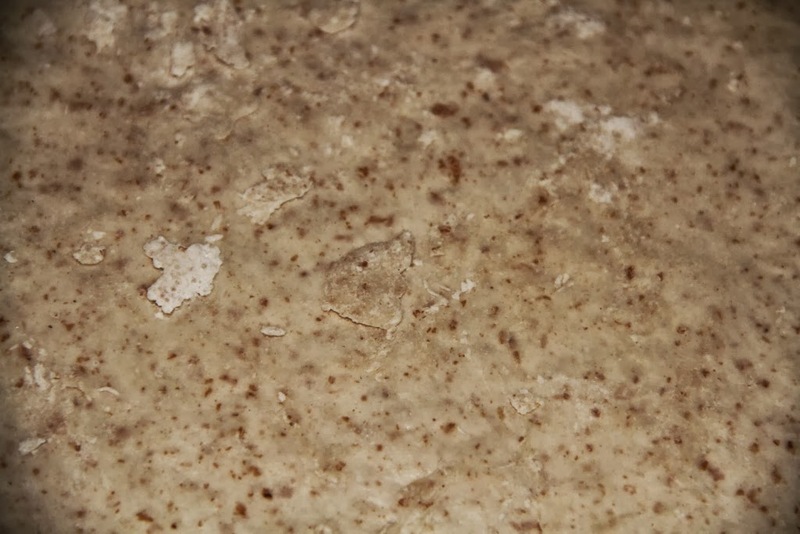 It is a type of cracker, that when made properly, can be stored and last forever. On its own, it can be eaten once softened. It was often dipped and used in broths, soups, stews, beans and coffee. HT can be carried as long as it stays dry, it can be useful. It stores really well in air tight containers and in the dark. 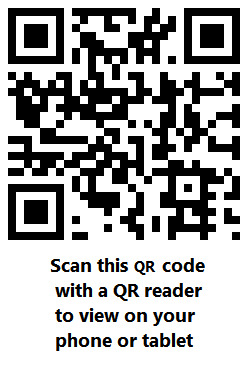 You can use basic flour, wheat flour and for this small batch, I ground my own Wheat. You only need water and salt from here. As you can see, I made a small batch, but I suggest that you double up the recipe and make double using the same amount of energy. Mixing 3 cups of flour, you can mix 2 cups of white and one cup of Whole Wheat, all white flour, all wheat flour, whatever suits your needs. 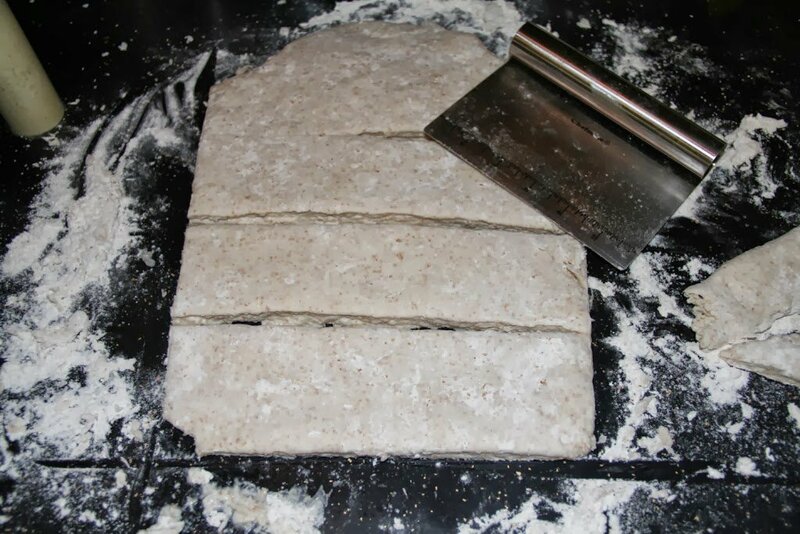 Adding 1 cup of water or so to make a tight dough, and 3 teaspoons of salt. 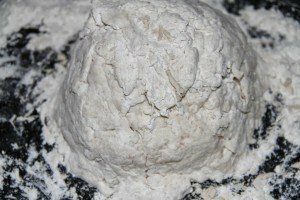 Here I kneaded the mix and formed a ball. 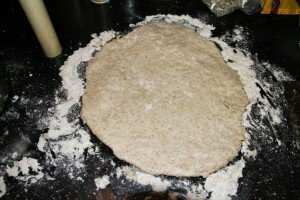 I rolled the now formed dough out after kneading it to form together. 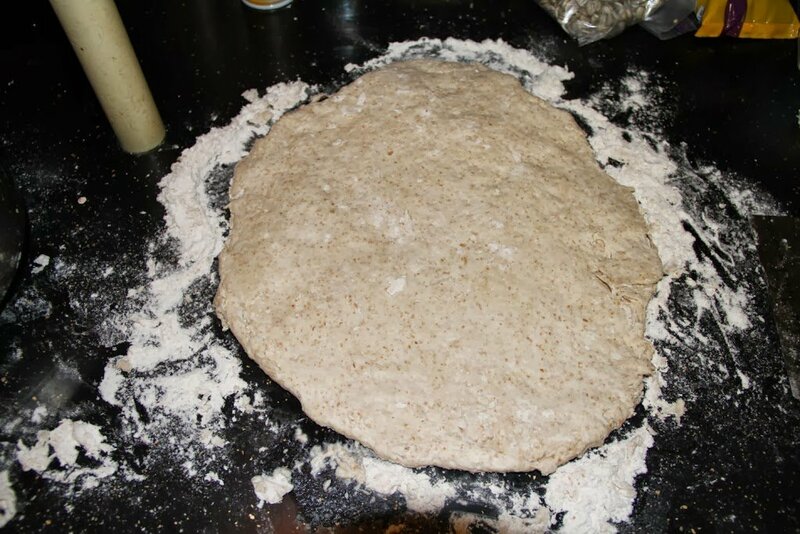 I grew and ground my own flour as you see here. I rolled it into 1/2 thick piece. After cutting them, as you can see they don’t have to be perfect at all. Using a small skewer, I poked a bunch of small holes in them, but not all the way through. I separated them and placed them on a cookie sheet to bake at 350 degrees for a half hour, flipped them over and continued to bake them for 30 minutes more. 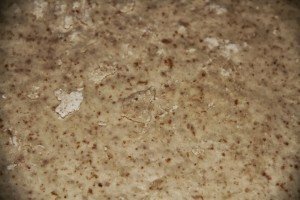 The general rule to tell if they are done is that they should not be soft at all, hard as a rock they should be. 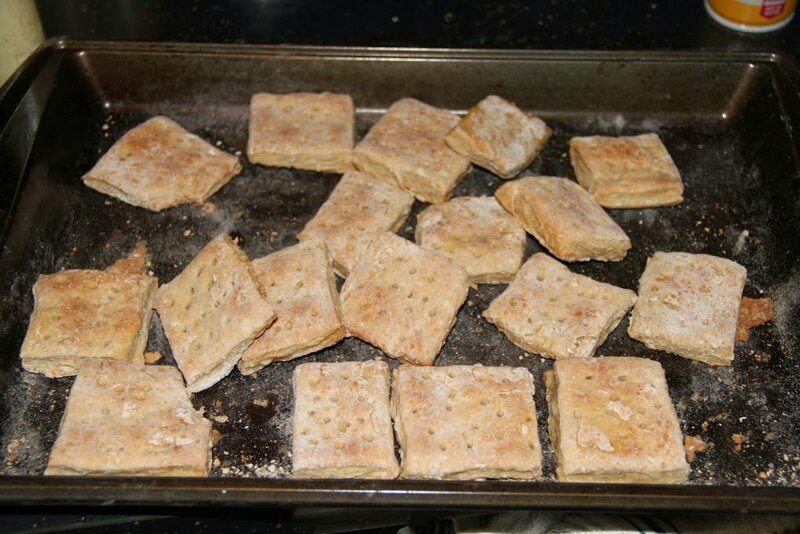 Bake at 350 for 30 minutes one side, flip and continue for 30 minutes until hard. i can see where it would be filling …….. but doesn’t sound like it has much nutritional value per se ……………………. This recipe worked out great, thanks for the post. I keep meaning to make hardtack after reading about it several months ago, you have inspired me. Thanks! how do you store it so humidity does not effect it? 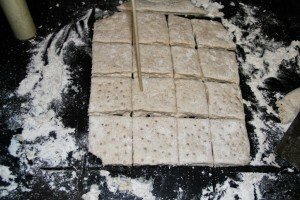 Thank you i though hardtack was some kind of Jerky (silly I know) I will be trying this soon!